The British Gazette » Brexit: The winter of discontent, 2018-19. Today, 1st December is the first day of Advent in the Christian calendar and also the first day of winter in the meteorological calendar. Forty years ago, the British People experienced what became known as “the Winter of Discontent.” The winter of 1978–79 was plauged by a series of public sector strikes that caused a crisis for the then Labour government of James Callaghan. In our article of the 27th (http://www.british-gazette.co.uk/2018/11/27/a-second-referendum-bah-humbug/), we drew the Reader’s attention to the possibility of a three choice referendum using AV. Given the fast moving developments, it appears that should – as looks likely – Madame Mayhem’s Brexit deal is defeated in the Commons vote on 11th December, there could be a challenge to her leadership as a result in the form of a no confidence vote by Tory MPs organised by the 1922 Committee. If the Brexit Deal’s defeat is of a significant order and a significant number of MPs express no confidence in her, madame may well realise that her time is up and resign. If the Tories are to change leaders – again – they simply do not have the time to go through the whole process of hustings and a vote of the membership. They will have to talk amongst themselves and come up with one challenger and for them to be anointed/crowned Tory leader and Prime Minister. 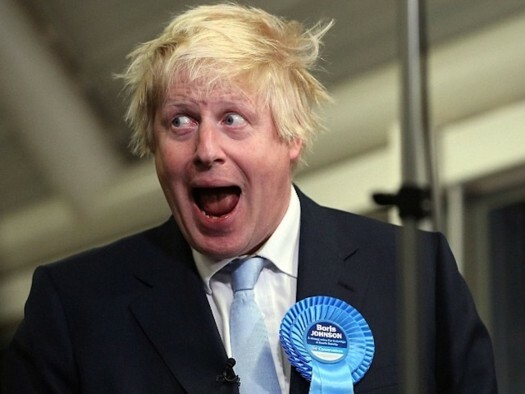 There is one person, Tory Leavers and Remainers may choose: Boris (the Buffoon) Johnson. #2: He is a man who can change his [political] position as the need arises. Should the Brexit Deal gets voted down the Tories will be in an even worse predicament than they are now! On 11th December the country will be just 109 days away from Brexit Day! And the one and ONLY deal in existence will have been rejected by Parliament! Boris will have to come up with a plan! #1: The UK can revoke Article 50 in the same manner as it invoked it: by legislation, in this case an act of repeal. #2: The UK can do this without the permission of the EU. #3: Upon revocation, the UK will retain all rights, responsibilities and opt outs as it had before Article 50 was invoked. #1: Due to the time constraints the Political Parties, Elections and Referendums Act 2000 (c. 41) will be suspended for the purposes of the second referendum. This is a necessary practical step as there will be not enough time to follow the procedures laid down in the Act. The second referendum act will therefore contain it’s own structure to enable the vote to proceed. #2: The legislation will contain a clause to lower the voting age to sixteen for the referendum and for future elections. #3: There will be three questions on the ballot paper: The Brexit Deal that has been negotiated; Brexit with no deal; Revoke Article 50 and remain with the EU. #4: The Alternative Vote (AV) OR the Supplementary Vote as used in Police and Crime Commissioner elections will be used.